You may well wonder about the material we have chosen to present below. For one thing, it has been around for a while, though mostly on obscure websites. For another, its authors are unknown. More important, we cannot say how accurate, overall, is the analysis offered in it. Nonetheless, it is tantalizing — and raises some important issues, no matter its provenance. The document claims to reveal the techniques — dirty tricks, really — that are practiced by trolls, saboteurs, provocateurs, disinformants, spies and other government operatives, as well as their fellow practitioners of the dark arts. One thing is certain: we’ve all experienced the frustration of dealing with this phenomenon. We just don’t always recognize it for what it is. Without even knowing it, you may have witnessed these techniques in action. Perhaps in a political forum that feels somehow manipulated to suppress certain facts and points of view. Or in the deceptive comments that often follow a controversial article. Or in the disruptive behavior at a town hall meeting that seems oddly choreographed. Or at a meeting of activists where the “wrong” people seem to be taking over. Like toxic mushrooms, the words and actions of these operatives can look harmless. That is why they can so easily poison the well of information. 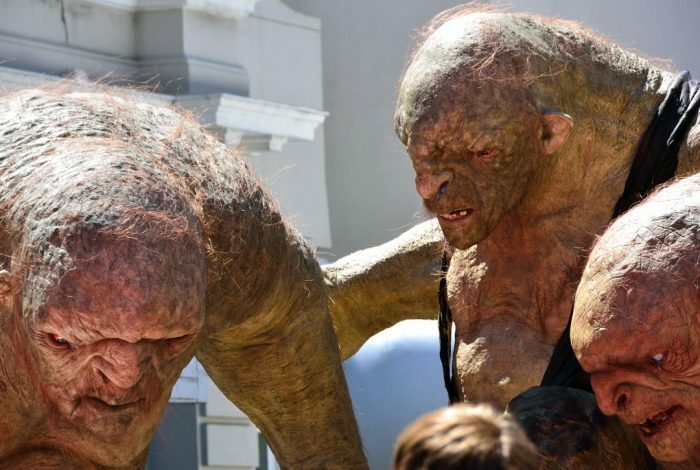 You may be tempted to write off trolls as harmless nuts, but that may not be the case at all. We know from experience that some of the less harmful techniques described here are a cousin of a PR tactic called “astroturfing,” a tried and true method of some of the most powerful corporations and private interests in America. It is a classic control technique, wielded by those on top to prevent “inconvenient” facts from reaching the public, and to neutralize any action the public may want to take should they learn of these facts. You are most likely to see these techniques at work where discussion centers on such high-stakes issues as political assassinations, the destruction of land and lives by oil companies and other corporations, the man-made causes of climate change, and so on. Before we get to the tricks themselves, we should take a quick look at their origins. Treachery is as old as mankind, but let’s start with the late J. Edgar Hoover, the old trickster behind the FBI’s Counterintelligence Program, also known as COINTELPRO. The US Senate’s so-called Church Committee (chaired by Sen. Frank Church of Idaho), which investigated Cointelpro, reported, “Bureau witnesses admit that many of the targets were nonviolent and most had no connections with a foreign power.” Such targets included nonviolent citizens against the war in Vietnam, the nonviolent Southern Christian Leadership Conference, and prominent civil rights workers. The FBI claims Cointelpro operations ended in 1971. Part 1 is about methods for taking control of a news group. These instructions were presumably written by a Cointelpro operative to be used by other operatives — and not the general public, so they are not always clear. We have therefore rewritten some of these passages, and we offer explanations parenthetically when we think they are needed. Wherever possible, we try to preserve the style of the original document. If you have a better explanation for any of the actions described below, or if you want to add your own observations to this ongoing collection, please let us know. We would love to hear from you. The bottom line: Our purpose here is to inform you about some of the “dirty tricks” that may be shaping and distorting what you read online. Far from endorsing these attempts to hijack free and open discourse, we believe that exposing them can help blunt their power to confuse and control. Forewarned is forearmed. Several fake accounts should be ready when called upon. To trigger a “forum slide” and “flush” the critical post out of public view, it is simply a matter of logging into each account, both real and fake, and then ”replying” to pre-positioned postings with a simple one- or two-line comment. Although it is difficult or impossible to censor the unwanted posting, it is now lost in a sea of unrelated and useless postings. This effectively focuses the attention of forum readers on non-issue items. Once this is done, then, under alternative fake accounts, a very strong position in your favor [Ed. :“your” meaning the disinformant’s favor] is slowly introduced over the life of the posting. It is imperative that both sides are initially presented, so that uninformed readers cannot determine which side is the truth — but assume they have seen all the relevant facts on both sides of the issue. Thus, uninformed readers will most likely accept the disinformation. But even if they don’t, they will probably drop their opposition to your posting. In this state, they can be more easily misdirected away from facts. The less informed they are, the easier it is to control the entire group in the direction you desire. It must be stressed that a proper assessment of the psychological characteristics and levels of education of the group are first determined. You don’t want to “drive in the wedge” too soon. By being too far off topic too quickly it may trigger censorship by a forum moderator. This is about determining the psychological level of the forum members, and to gather intelligence that can be used against them. In this technique, a light and positive environment is created, leading to “I’ll show you mine, you show me yours” postings. From the number of replies and the answers that are provided, much information can be gathered. For example, posing as one of the forum members, post your “favorite weapon” and then encourage others to showcase theirs. It can then be determined what percentage of the forum community owns a firearm, and/or illegal weapon. Or, post your favorite “technique of operation.” From the replies, methods used by the group can be studied, and effective methods developed to stop them from their activities. Statistically, there is always a percentage of forum posters who are inclined to violence. In order to determine who these individuals are, you present an image that will incite a strong psychological reaction. This method is extremely effective, and more so if the police officer can be made to look even more abusive, by the way the video is introduced, and by selective editing. Showing no fear may get those forum members who are more silent and self-disciplined to slip — and post their real intentions. From this, the most violent in the group can be effectively singled out for reverse IP location and possibly local law enforcement tracking. And his or her posting can be used later in a court of law during prosecution. censoring postings, deleting memberships, flooding, or “accidentally” taking the forum offline. By this method the forum can be killed. However it is not always in the interest to kill a forum as it can be converted into a “honey pot” gathering center to collect and misdirect newcomers and, from this point, be completely used for your control for your agenda purposes. Once they are aware of these techniques the operation can completely fail, and the forum can become uncontrolled. At this point other avenues must be considered such as initiating a false legal precedence to simply have the forum shut down and taken offline. This is not desirable as it then leaves the enforcement agencies unable to track the percentage of those in the population who always resist attempts for control against them. Many other techniques can be utilized and developed by the individual and as you develop further techniques of infiltration and control it is imperative to share them with HQ.